What do you get when you put an entrepreneur doctor and a curious marketer together? Digital marketing magic with a lot of content. 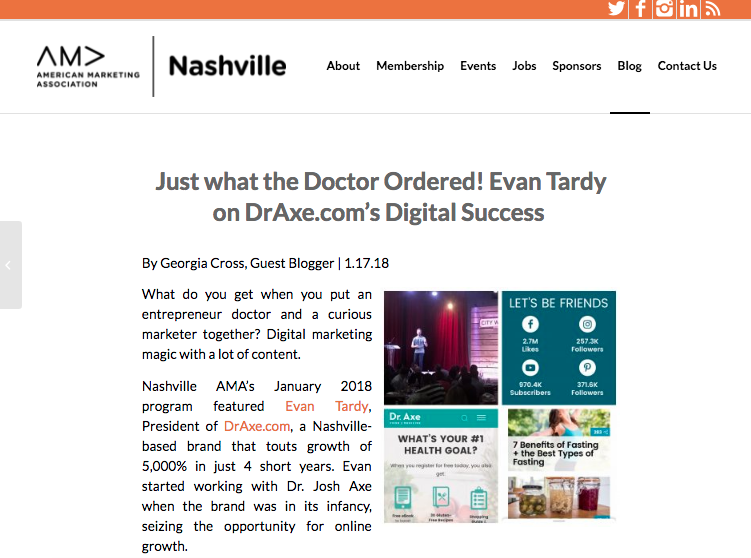 Nashville AMA’s January 2018 program featured Evan Tardy, President of DrAxe.com, a Nashville-based brand that touts growth of 5,000% in just 4 short years. Evan started working with Dr. Josh Axe when the brand was in its infancy, seizing the opportunity for online growth.